Being born in Swansea, I may be biased when I say that one of my favourite places in Wales is Swansea. 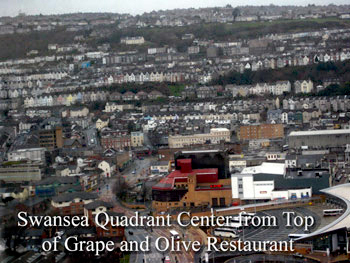 But it is said to be the most attractive of all of the once-industrial towns of South Wales. Did I say town? Well, it was a town when I was growing up and didn't become Swansea City until 1969 when I was living and working as a musician up in the North of England, so I missed any pomp and ceremony that may have accompanied it's transformation. So, if you have come to this page looking for some places in Wales to visit, then I hope that you get enough information to entice you to visit. If you are just curious then I hope you enjoy what you read here. 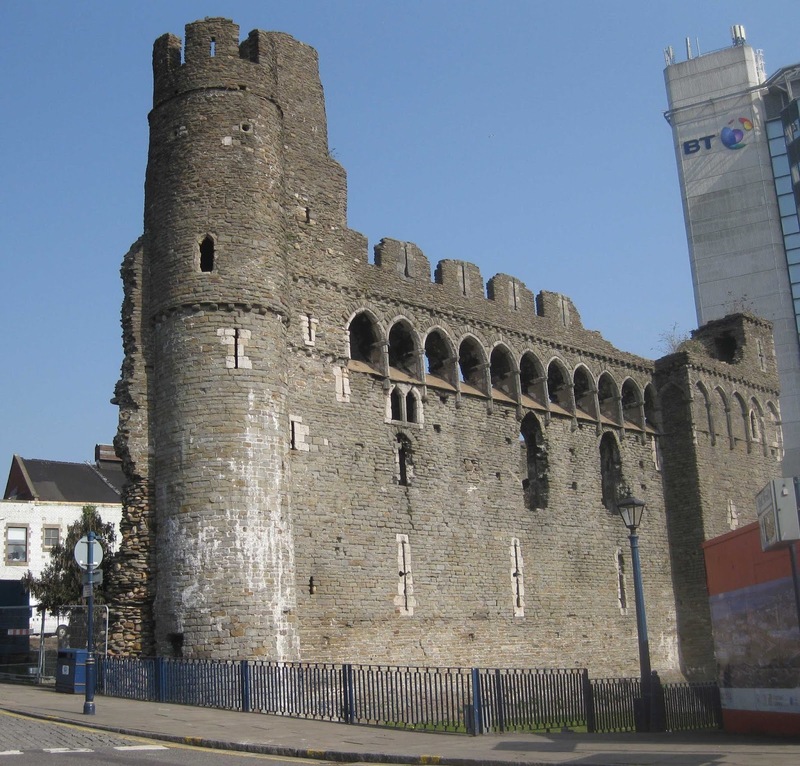 Swansea -Some History: What's in a Name? around Wales. An island because it stood on the estuary or the River Tawe - not really an island in the conventional sense. The Welsh name for Swansea is Abertawe. Aber is a Breton word meaning for mouth of a river or estuary. Tawe being the name of the River Tawe. built. There's not much left of Swansea Castle now in comparison to the grandeur of Cardiff Castle, but the remains can be viewed from the Castle Gardens. Gradually a town grew up around the castle, occupied strangely enough, by immigrants from England. I have noticed that on my frequent holiday trips to North Wales, I wasn't considered to be Welsh, and on a few occasions I was teased about it by the people of North Wales. I often wonder if that was a subtle reference to the English immigration in Norman times. east side of town. Kilvey Hill was stripped of its oak and birch trees by the toxic, industrial smoke, all the topsoil was eroded by the weather and the whole of the lower Swansea Valley was turned into a what looked like a lunar landscape. 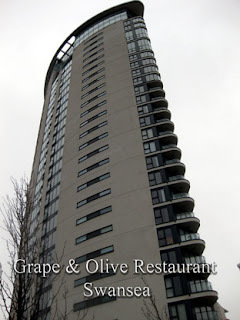 Being a 'baby-boomer' I lived on the east side of Swansea right at the foot of Kilvey Hill for the first 4 years of my life in the late 1940s. 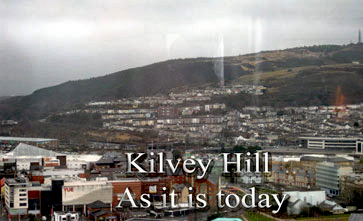 My memories of it are vague, but I can remember looking up Kilvey Hill from our house and seeing how barren and deserted it all looked. During the 1960s work began on improving the east side of Swansea and since then, the approach to Swansea from the East is not such a shock to the visitor! However, the south and west of Swansea has always retained its beauty, and when I was around 4 years of age, we moved to the suburb of Sketty about two-and-a-half miles from the centre. Our home was located in this hilly area with some great views across Swansea bay. 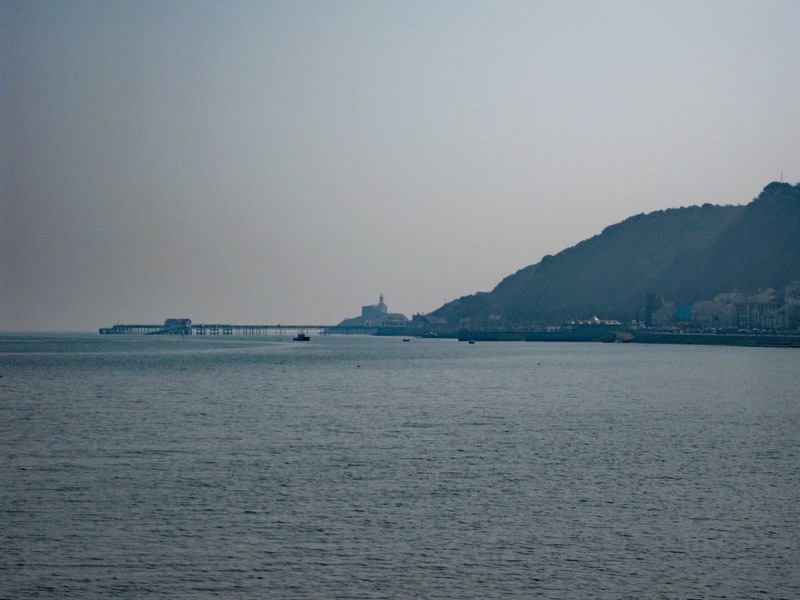 I have very fond memories of growing up there and on a clear day you could see clearly out to the Mumbles head and sometimes across the mouth of the Severn Estuary to coastline of Devonshire. Apparently some family history research has shown that my ancestors came from Devon in the 1700s to work in the steel industries of Briton Ferry and Port Talbot, small towns to the east of Swansea. So it seems that my roots are not Welsh after all! innovation of Wales over the last 300 years or so. to Swansea as 'An ugly, but lovely town'. He was born in an area called The Uplands (see map above), at Cwmdonkin Drive in a house that I was constantly reminded of by my teachers during my school years, because the school I attended happened to share that same road where the world renowned poet had grown up. Local gossip claims he was a bit of a rebel-rouser who liked a drink. Beau Nash, actually born Richard Nash, was born in Swansea in 1674. He went on to Oxford and from there became master of ceremonies at the City of Bath. It is said he was a notorious gambler who had to move in with his mistress due to gambling debts. He died in 1761.
brothel, and she attempted suicide, but fortunately it failed. She then met her husband, moved to America where and then came back to Swansea where she kept a bathing house with her husband until his death. She then went on to run a dancing school in Kidwelly a small town to the west of Swansea for a few years before returning to Swansea and establishing herself as the well-known writer, where she used the grand-sounding name, Ann of Swansea. Other famous Swansea people who are not considered notorious, are Catherine Zeta Jones. Born in 1969 she was often appearing in the Swansea Grand Theatre; she became the British Tap Dancing Champion. Another famous entertainer, Bonne Tyler was Born in Skewen near Swansea, and before her fame, she sang with a singing group called Bobby Wayne and the Dixies in the Townsman Club in Swansea that has long since closed down. A very clever and funny actor called Rob Brydon who has appeared on many television shows, which includes the hit show, Gavin and Stacy, was born in Swansea in 1965. And not forgetting the late Harry Secombe, singer, actor and television presenter remembered by some on the radio program, "The Goons". He was born in Swansea in 1921 not far from where I grew up in the east side of town - well, at least so I have been told. He stared in the film version of Oliver! appearing as Mr Bumble. He became Sir Harry Secombe in 1981 and died in 2001. What I particularly remember of Harry was his powerful singing voice that was heard practically every Sunday morning on the radio at home, singing "If I Ruled the World".